You will adore this cute, roomy, and clean two bedroom, one and a half bathroom condo right by the University of Arizona! 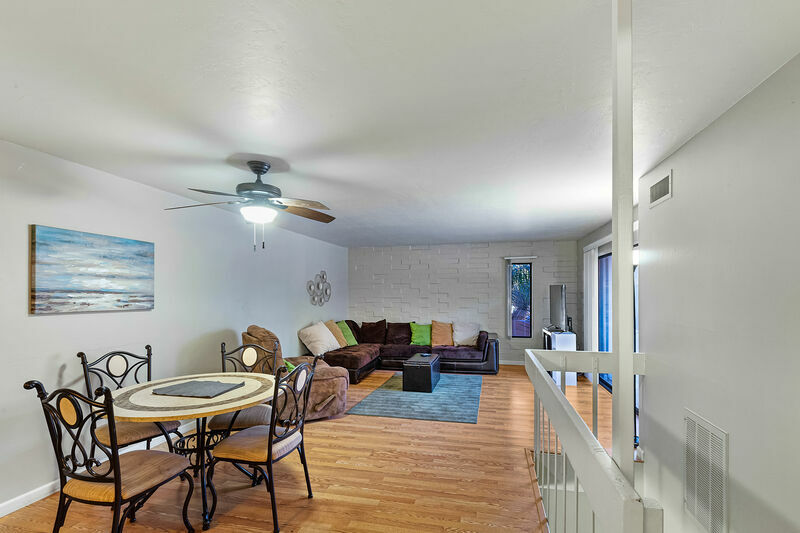 This is THE IDEAL location to enjoy all that the university and downtown Tucson area has to offer. It is PERFECT if you are looking to be near the U of A for sports events, academic events, festivals, THE GEM SHOW! and so much more! Also easy to get to the Tucson or Catalina Mountain areas for great outdoor activities and very close to a Tucson excercise and hiking challenge with an amazing view payoff - Tumamoc Hill! You can walk to some of the area's best dining, entertainment and shopping, including University Blvd with such favorites as Frog anf Firkin, Gentle Ben's and The Dutch Eatery! Also within walking distance to TIme Market a Deli/Grocery that is a Tucson Local Classic! You also have practically doorstep access to Tucson's Sunlink Streetcar that services the University, Famous 4th avenue, Downtown, and the Mercado arts and shopping district! The condo is clean and comfy and tastefully decorated. The two downstairs bedrooms feature full sized beds and both also have convenient office areas for your laptop, making it easy to do business and stay connected with the condo's free wifi. The upstairs features an airy and open floor plan with VERY comfortable seating and is a great place to relax with friends and family and watch your favorite TV shows and Movies on the HD flat screen televison. The kitchen pass-through and breakfast bar also make for easy entertaining. The kitchen is also fully stocked with small appliances and plent of cookware, glassware, and dishes. The complex features a lovely community pool with a pool table and large gathering area as well. There is also a community laundry room. The complex is gated and there is one assigned parking space for the condo and there is a large parking garage just across the street for easy parking for guests and friends. If you want the best way to experience the newest, trendiest, and hottest urban spots in Tucson than our Campus Walk Condo is truly a walk to it ALL!